Safes are designed to protect your belongings. You want to be the only person with access to your safe, because what’s inside is important enough to keep in that level of protection. Most people have keys or codes that they need to enter into a safe in order to open it, thus ensuring that those without access are kept out. But like all locks, it’s possible that you lose your ability to enter the safe – either because you have forgotten then combination or you have lost the key. When that occurs, you need a company that can open your safe for you. 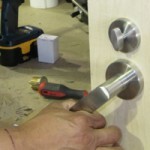 Opening safes takes a very skilled and well trained hand. Some safes have considerable security measures to prevent anyone from entering a safe without the right access. Others are holding valuables that can break or burn easily, preventing people from opening a safe with blunt force. It takes an expert to open all of the different types of safes – and that’s where FC Locksmith comes in. At FC Locksmith, not only do we have all the tools you need to open safes of all sizes – we are also familiar with nearly every type of safe available and can easily provide you with the safe opening services you need. Our professionals are well trained, and know how to handle your valuables with careful hands. Opening a safe can’t be done by just anyone. The wrong move can put your items at risk, and may trigger some of the internal safety measures that these safes have. 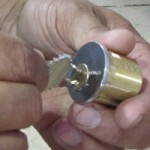 FC Locksmith knows exactly how to open your safe correctly, no matter the type of style of safe it is. Call us today to learn more about our safe opening services.